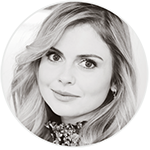 With the upcoming release and world premiere of her new movie ‘Daffodils‘ from March 21 in New Zealand, Rose McIver has been interviewed about this new movie. Find below, the interview she made with Seven Sharp. Source | Stars walked on a yellow rather than red carpet as local movie Daffodils had its world premiere at the Embassy Theatre in Wellington last night ahead of its release next month. Based on a true story, Daffodils is an upbeat musical featuring classic New Zealand songs of the 1960s, seventies and eighties, and stars Kiwi actors Rose McIver and George Mason. TVNZ1’s Seven Sharp reported the producers of Daffodils want it to become a Kiwi classic love story. Told through the eyes of Maisie, played by singer Kimbra, it’s the love story of Maisie’s parents, ‘Rose’ and ‘Eric’. The duo are played by McIver and Mason. But it’s a bittersweet tale. 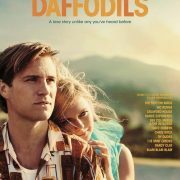 Set in the 1960s, seventies and eighties, Daffodils portrays young love blossoming, and a marriage wilting. The actors perform songs from the likes of The Mutton Birds, Bic Runga, Crowded House and Dave Dobbyn. 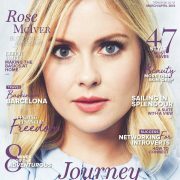 Asked what attracted her to the story, McIver told Seven Sharp playing a character named Rose made for an easy start. “I hadn’t played a Rose before and I thought it might simplify my job a little,” she said. Mason was asked how he made sure he got it exactly right when tackling iconic Kiwi songs. “I don’t know if I got it exactly right. 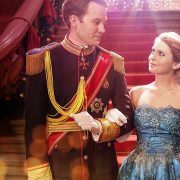 But other people will be the judge of that tonight,” he replied. “But I worked really hard. I had a vocal coach for about six months. And the audition process itself was quite a rigorous one, so by the time I actually got the role I kind of felt quite prepared,” he added.